There is room for discussion, freedom to have a different opinion. We are convinced that this provides a broader vision on our work and can solve problems better. Tswi Rodrigues Pereira was the company’s first partner. 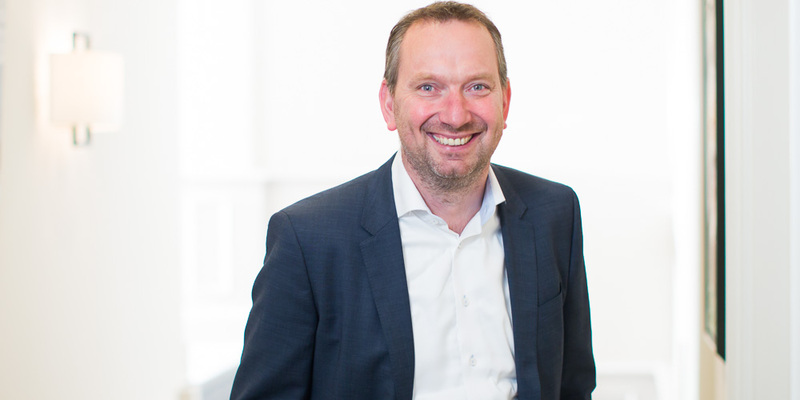 He specialises in tax planning for large organisations and quoted companies, mergers, buy-outs, acquisitions, due diligence and family businesses. Tswi mainly acts as a trusted advisor and a sounding board for clients and colleagues. Previous functions: After his studies, Tswi spent two years working as an inspector for the Dutch tax authorities. In 1988 he started working for PricewaterhouseCoopers, where he became a partner in 1993. Frans Stam is a partner at Pereira. He is a tax expert who offers guidance and advice to medium-sized and large companies, and their shareholders. His clients include both national and international organisations. 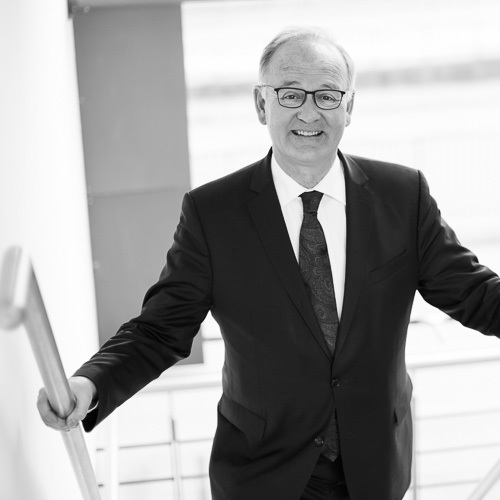 Frans is a managing partner and is also in charge of the day-to-day management of the office. Previous functions: After completing his studies, Frans worked as a tax consultant for PricewaterhouseCoopers in Rotterdam. Robert Hoppenreijs has been a partner at Pereira since its formation in 2002. He advises clients on the financial and tax structuring and restructuring of their investments and companies. 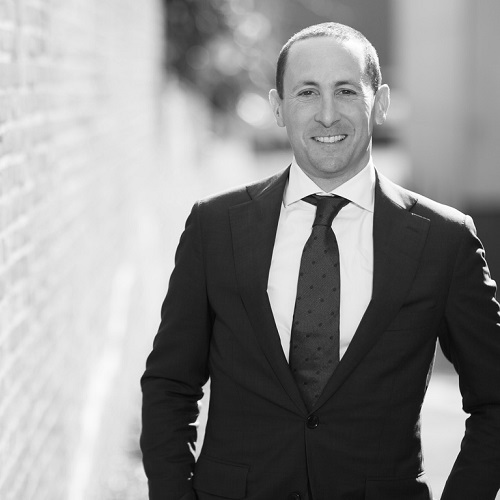 His field of expertise also includes estate planning, national and international asset structuring (in particular in combination with the United States) and business succession. Previous functions: Between 1995 and 2001, Robert worked as a tax consultant for PricewaterhouseCoopers. He was also a member of the editorial staff of a leading Dutch tax magazine, Vakstudienieuws. He worked as a lecturer for Tilburg University. During that time, he specialised in business succession and estate planning, and in particular in international asset structures. Freek Noordman (1983) is a partner at Pereira. He advises both businesses and private individuals in the area of national and international tax matters. Educational background: tax law, University of Groningen. Foske Wessels is a Director at Pereira. Her clients are large family businesses. She mainly advises on tax matters involving the director and principal shareholder, his family and the related business. Foske is also an expert in the field of ‘separated private assets’ like, for example, trusts. 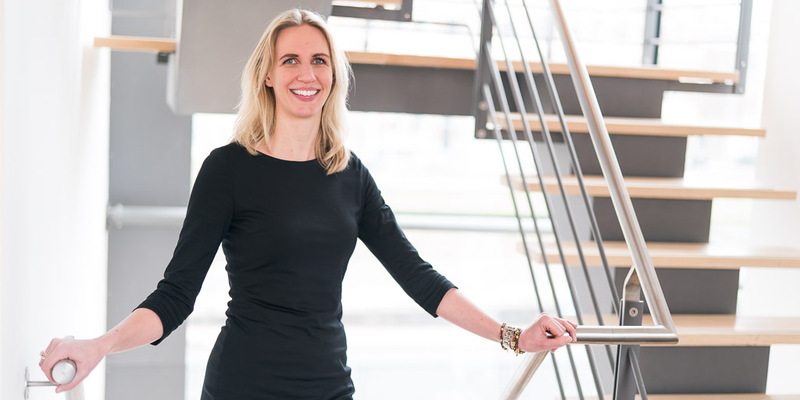 Previous functions: After her studies, Foske spent three-and-a-half years working for PricewaterhouseCoopers in The Hague. 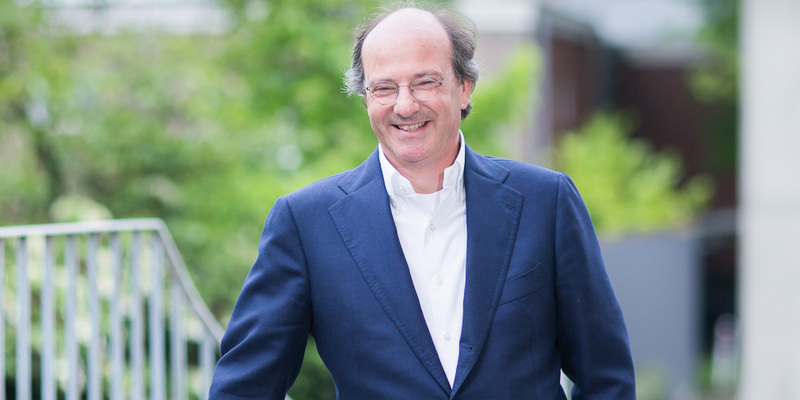 Maarten van Zanen is Pereira’s Director. He helps to create a work environment where Pereira’s employees can excel at their work. 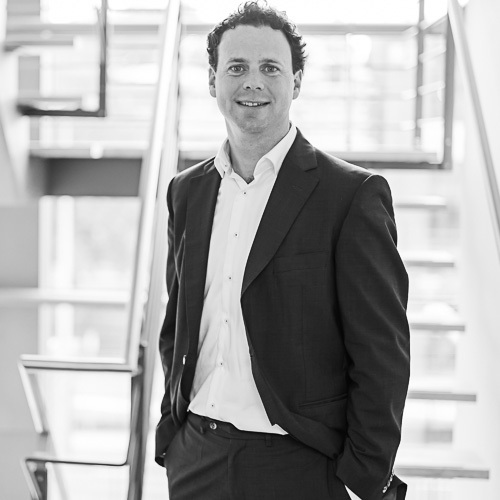 Maarten also advises the firm’s partners on other important aspects of the organisation. 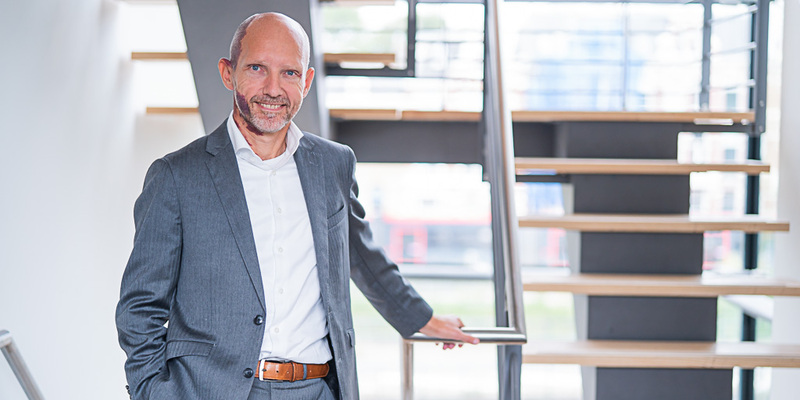 Previous functions: Maarten began his career at the Municipality of Amsterdam. 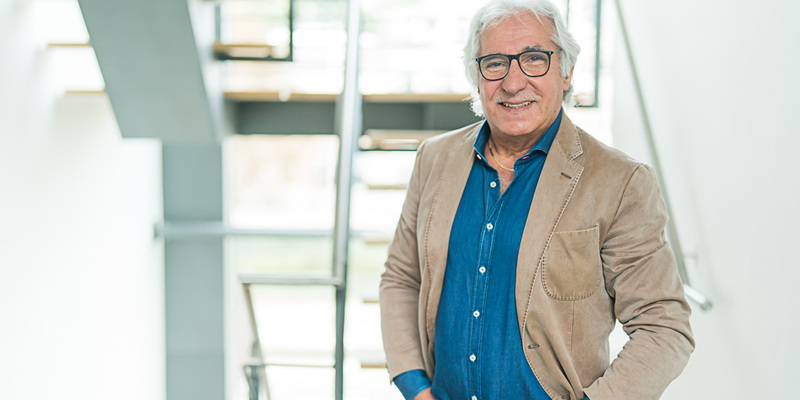 He subsequently held various management positions at KPN Telecom, Wolters Kluwer, International School of Amsterdam, Kennedy Van der Laan and Hekkelman Advocaten & Notarissen. Since 2002, he has focused on managing organisations where knowledge professionals work. María van Reigersberg Versluys works as a civil-law notary for Pereira. 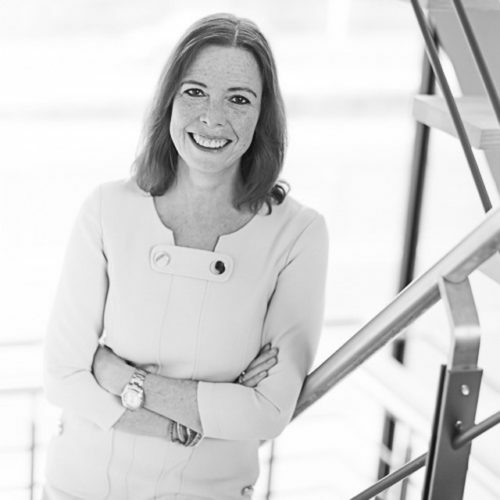 She specialises in tax-driven (international) restructuring, mergers and divisions, and non-hostile takeovers. 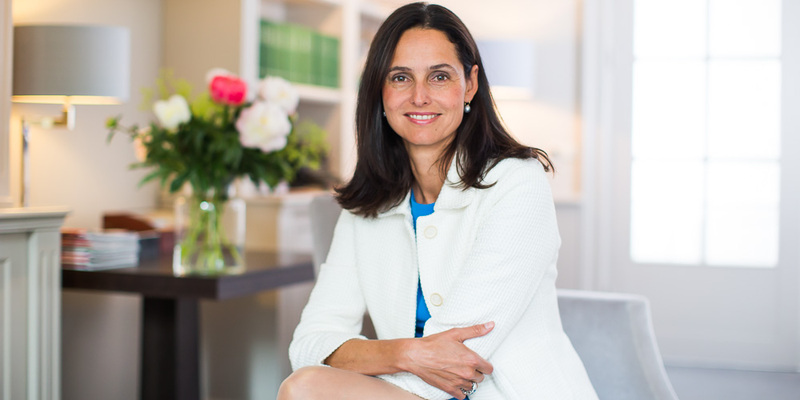 Previous functions: María worked as a personal injury lawyer for several years. In 2006, she switched jobs and started working in the notarial profession. 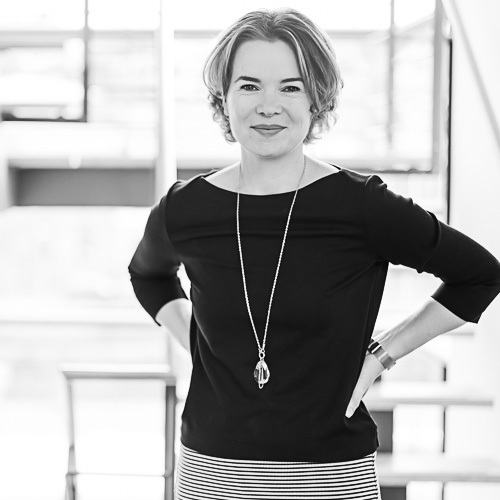 She worked at Schaap & Partners in Rotterdam and advised medium-sized and large businesses in the Netherlands. 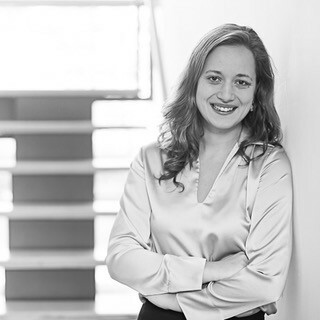 From 2008, she worked for Eversheds Faasen and gained international experience with a focus on Spanish-speaking countries. 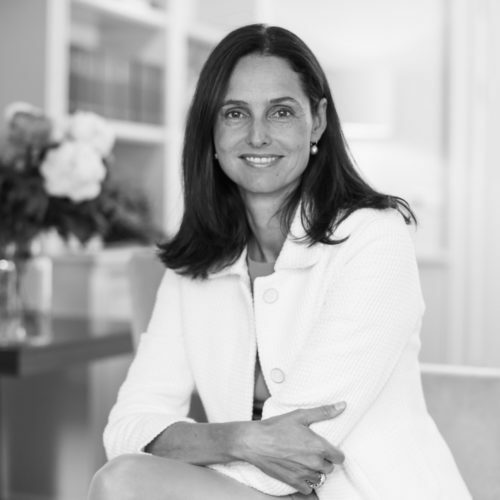 Fleur Wagemans works as a senior advisor and estate planner at Pereira. 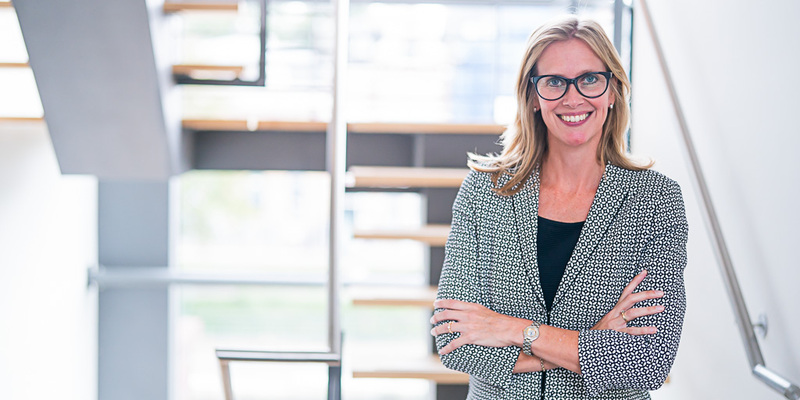 Her main area of activity involves providing advice on financial matters to high-net-worth individuals on asset structuring; both in the Netherlands and abroad. She specialises in the following fields – (international) asset transfers to future generations, business succession and share transfers within the family, corporate governance, emigration and immigration, prenuptial and postnuptial agreements, last wills and testaments and divorce, purchasing a (foreign) second home, and the combination of private and business assets. 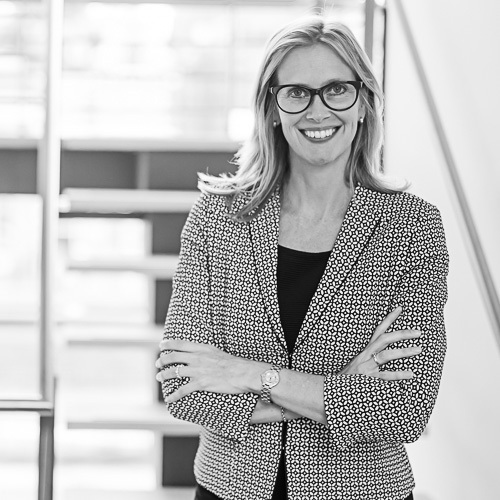 Previous functions: For over four years, Fleur worked as a tax consultant for Ernst & Young’s general tax practice where she was part of the high-net-worth individuals advisory group. 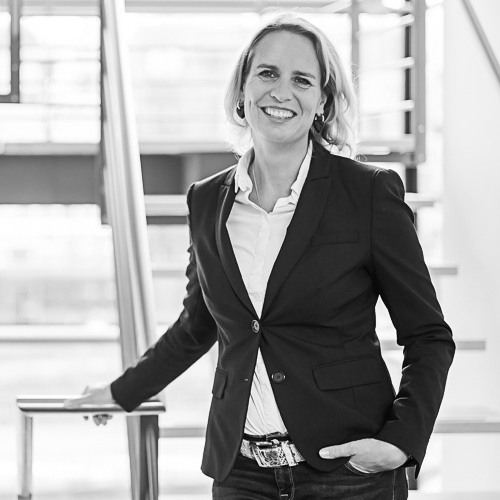 Ineke van de Logt works as a senior consultant for Pereira. She works in the family business practice and is an all-round professional. 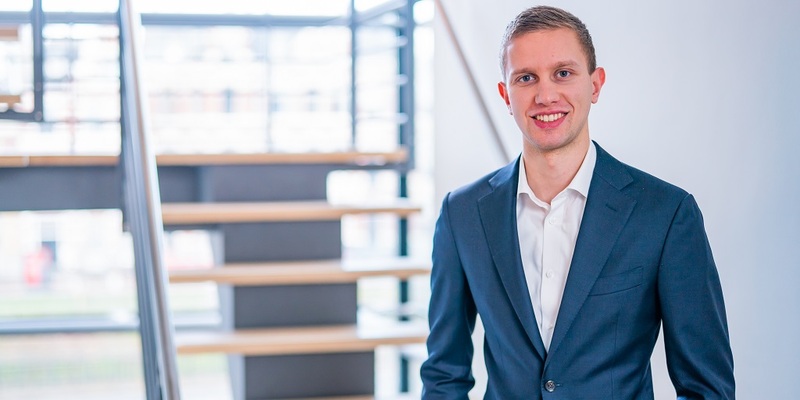 Educational background: fiscal economics, Enschede University of Applied Sciences; tax law, Tilburg University (FIT); vocational education at the Dutch Association of Tax Advisors. 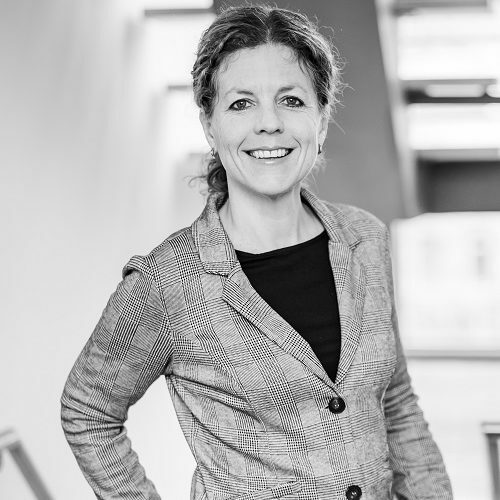 Previous functions: Between the year 2000 and 2004, Ineke worked for Loyens & Loeff where she mainly focused on advising family businesses. 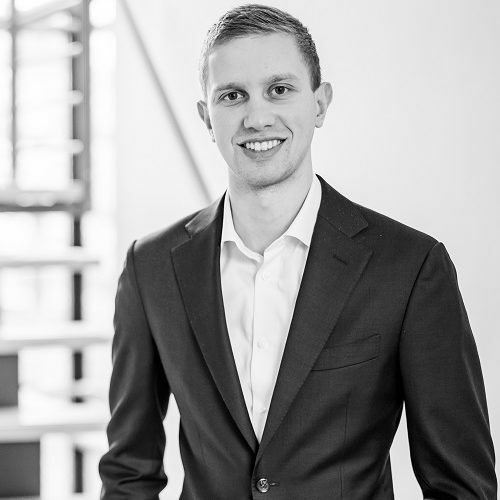 Sander Hekscher works as a senior consultant for Pereira. He provides tax advice to (multinational) enterprises, investment and private equity funds and to high-net-worth individuals. 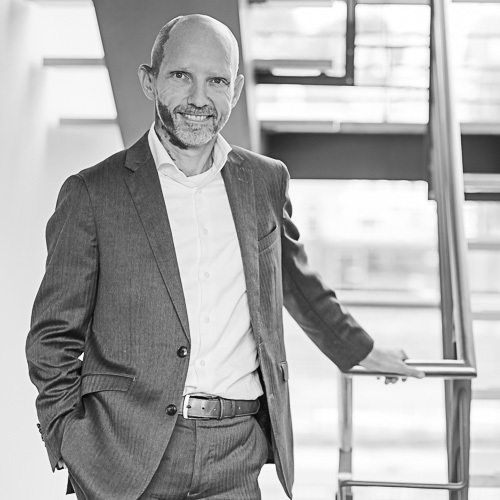 He has in-depth expertise on Dutch corporation and dividend tax, among others, where this concerns mergers and takeovers, reorganisations, financing and IP structures, often in a cross-border context. 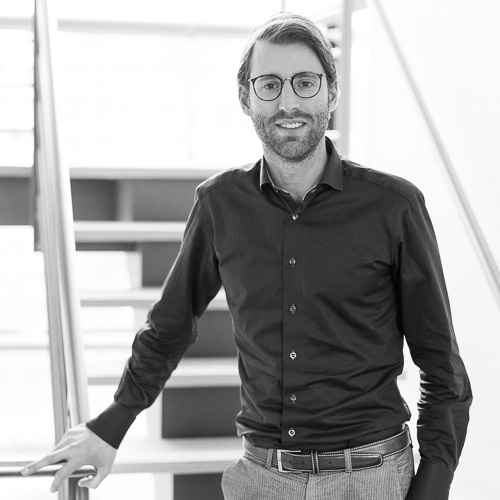 Previous functions: After his studies, from 2002 onwards, Sander worked in the general and international tax divisions of Loyens & Loeff, at its Amsterdam and London offices. 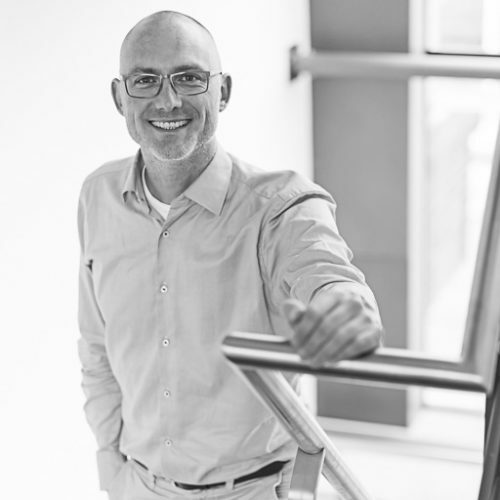 Roland de Vries works as a senior consultant for Pereira. He is an all-rounder who specializes in (international) tax planning for both companies and private individuals. He mainly focuses on mergers and acquisitions, restructuring, business finance and property investments. Previous functions: during his studies Roland was a working student at PwC. He spent over three years working as a tax lawyer for Houthoff Buruma N.V. and then almost five years at Allen & Overy LLP. 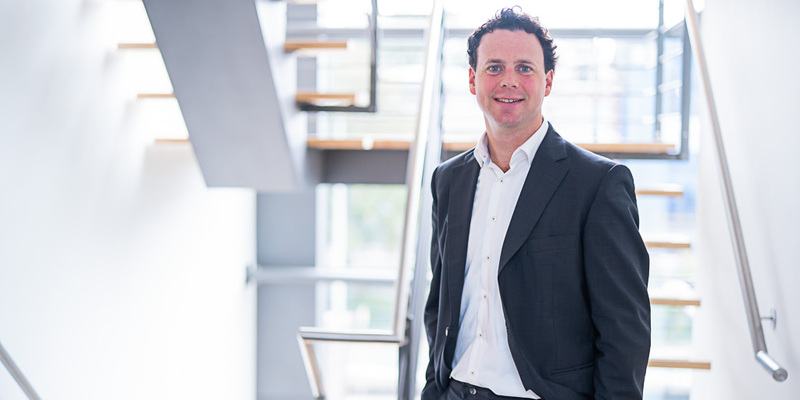 He spent the next six years working for Rabobank’s Structured Finance Team in Utrecht. 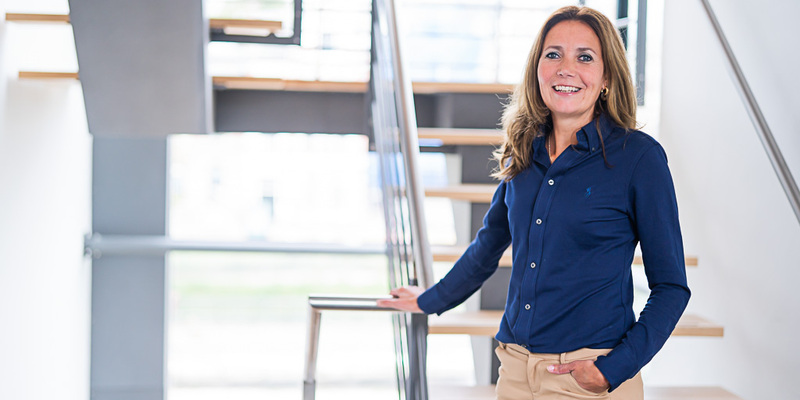 Solange de Jong works as a client manager for Pereira. She manages the implementation of both domestic and international structures. Solange remains closely involved in all aspects of the work after the implementation phase; this involves the client, the structure and all related work. Solange also works as an advisor on trusts. Previous functions: Before working for Pereira, Solange was employed at PricewaterhouseCoopers in Rotterdam. 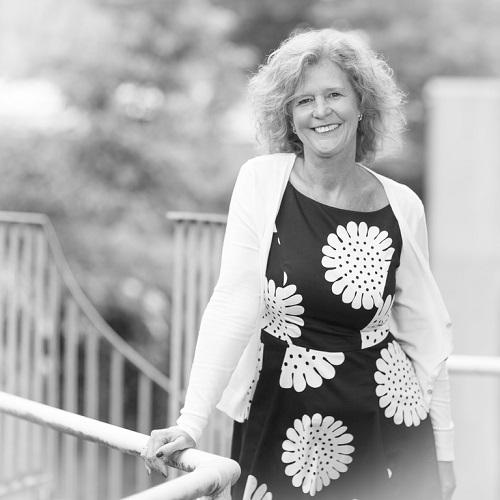 Anne-Marie van Beek is an estate planner and notarial lawyer at Pereira. 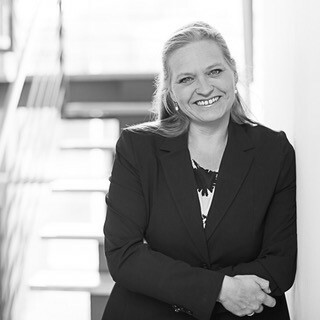 She advises clients, among others, on matters such as national and international inheritance law, community property law, gift and inheritance tax and other tax matters. Her field of activity also includes the settlement of estates and asset transfers. 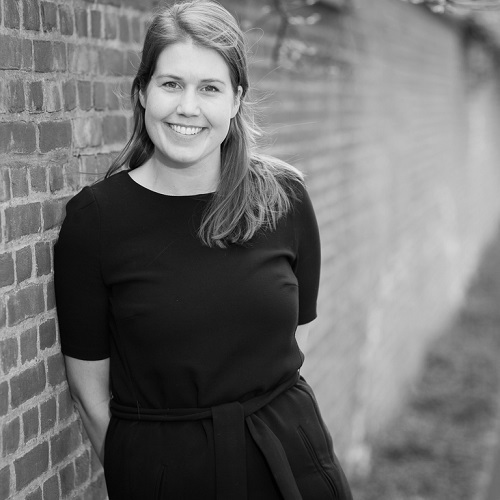 Previous functions: After obtaining her degree, Anne-Marie worked as an estate planner for Mazars’ Estate Planning department in Rotterdam. 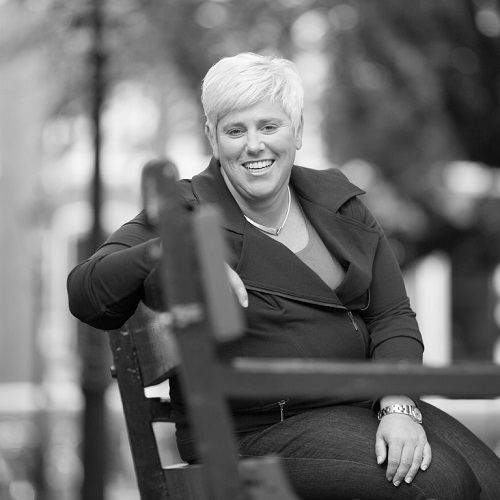 She also gained knowledge of family law practice while working as a junior civil-law notary. 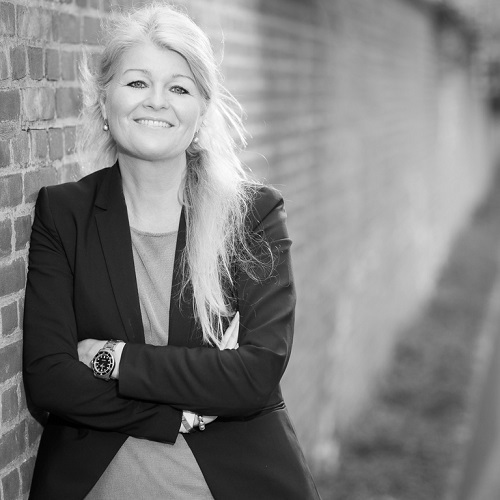 As of 2006, she worked as an estate planner and junior civil-law notary for civil-law notaries in Wassenaar and Leiden. 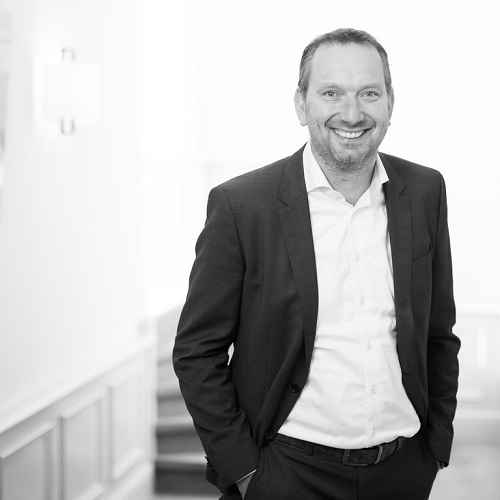 Maurice Bakker works as a experienced consultant for Pereira. He mainly provides advice on national tax matters, including VAT and wage tax. Educational background: fiscal economics and a Bachelor in Dutch law at Erasmus University Rotterdam. Maurice completed his fiscal economics studies with a thesis about taxation on pensions and annuities in cross-border situations. Previous functions: During his studies, Maurice also worked for Stichting Belastingwinkel Rotterdam. While working there, he gained practical experience and learned about the broad aspects of the field of tax law. During his fiscal economics studies, Maurice did an internship at Ernst & Young’s Human Capital practice in Rotterdam. 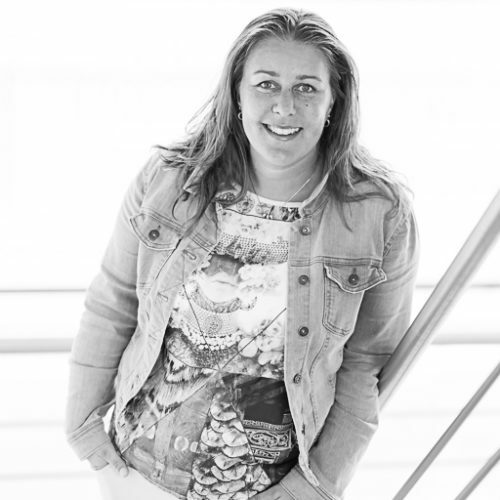 Nadine van Kruijssen works as a experienced consultant at Pereira. She gives tax advice to national and international clients. She is an all-rounder who advises clients on a wide range of tax matters. 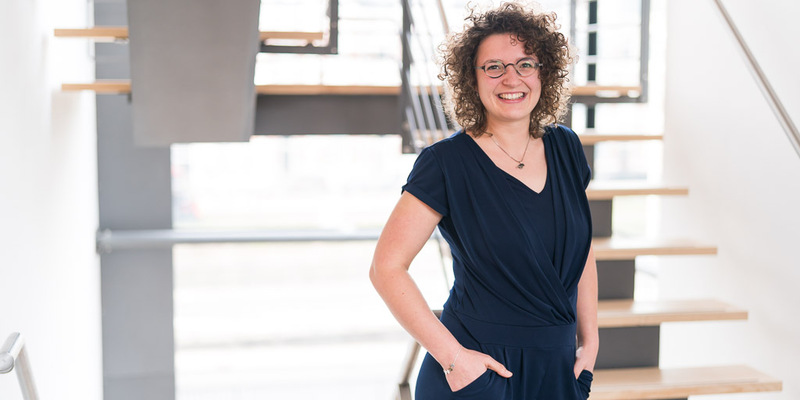 Educational background: master’s degree in fiscal economics, Erasmus University Rotterdam, with a thesis on cross-border investments; vocational education at the Dutch Association of Tax Advisors. Previous functions: part-time advisor at a tax firm for high-net-worth individuals. 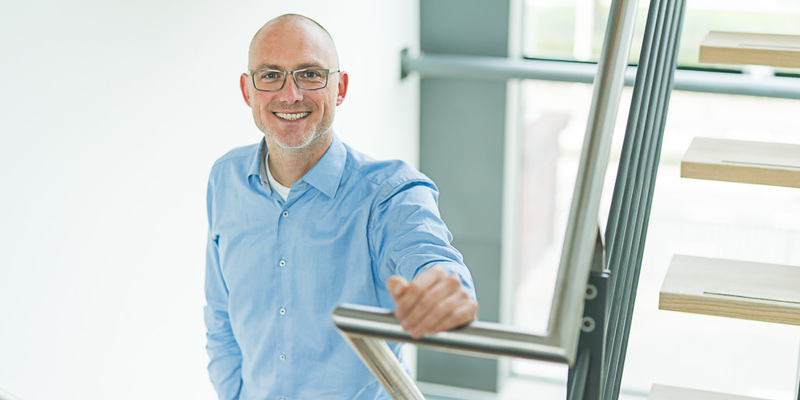 Arne Voogd works as a experienced consultant for Pereira. He specialises in international tax law and corporation tax. Educational background: notarial law and tax law, Leiden University; student exchange with Stellenbosch University (South Africa); six months of Spanish in Argentina. 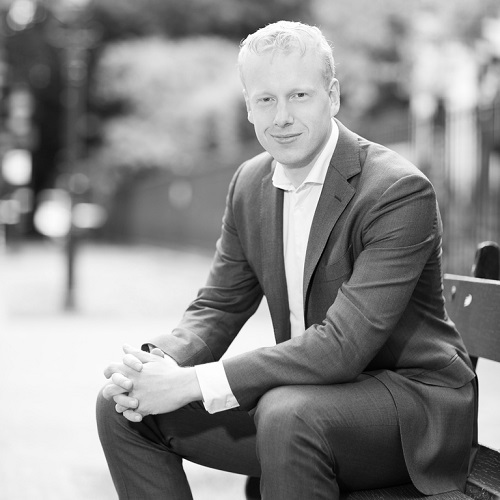 Previous functions: Before working for Pereira, Arne worked as a junior tax consultant for Loyens & Loeff in Amsterdam. 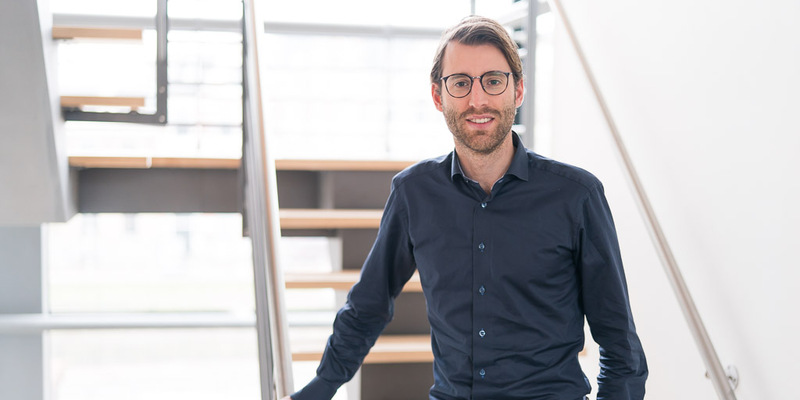 Rutger Lindenhof works as a experienced consultant for Pereira. He is an all-round tax consultant who focuses on private client tax matters such as – estate planning, business succession and tax-exempt investments. 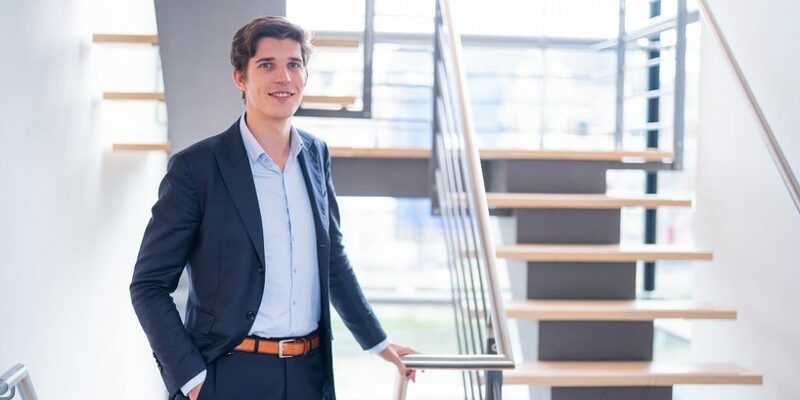 Previous functions: During his studies, Rutger did a two-and-a-half year work placement at ESJ accountants and tax consultants in Breda. He spent the next four years working as a tax consultant for Loyens & Loeff in Rotterdam. 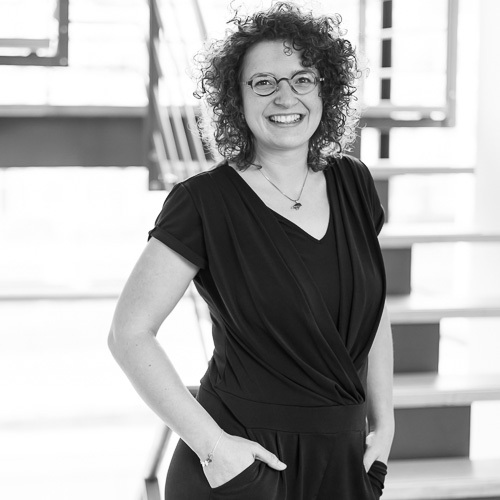 Xandra van Ettinger works as a consultant for Pereira. She is an all-rounder with specific expertise on various aspects of national and international tax law. 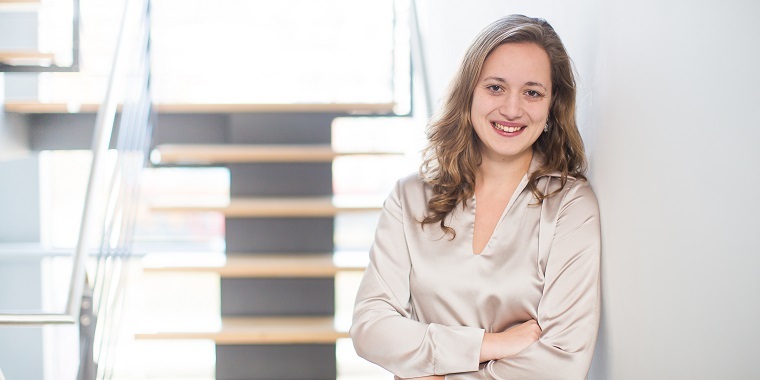 Previous functions: During her studies, Xandra worked as an intern for PwC and EY, mainly in VAT teams. 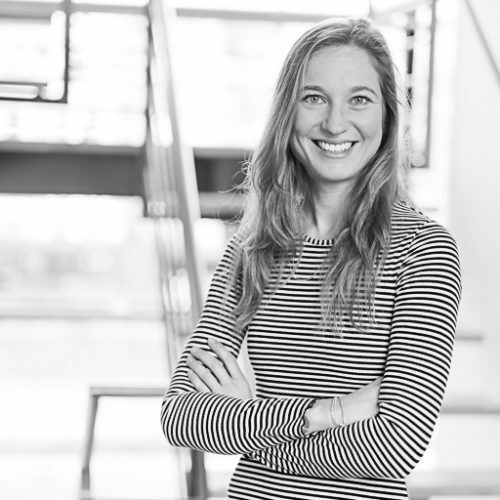 Steffanie van den Hoven works as a consultant at Pereira. She provides advice on all areas of tax law. Educational background: bachelor’s degree in law with tax subjects, master’s degree in tax law with a focus on indirect taxes, Tilburg University; Legal Aspects of Management (summer course), University of California – Berkeley; three-year vocational education with the Dutch Association of Tax Advisers. Previous functions: During her studies, Steffanie worked in EY’s Indirect Tax Division. 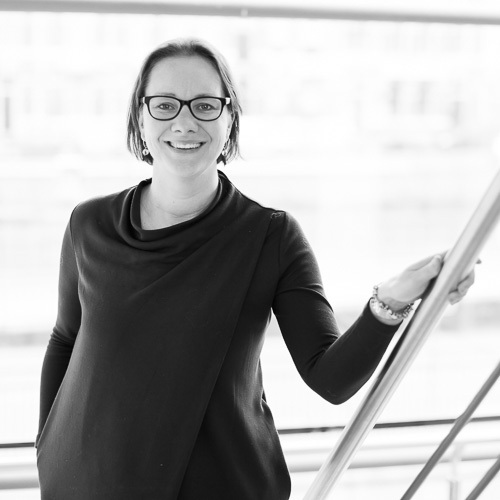 She also gained experience in tax law and criminal tax law working as an intern for Hertoghs advocaten-belastingkundigen. Jasper Aarts works as a consultant for Pereira. He is an all-rounder who advises on the full spectrum of both national and international tax law. Educational background: tax law, with comparative law research on participation exemption in the Netherlands and Germany as thesis subject, Tilburg University; vocational education with the Dutch Association of Tax Advisers. 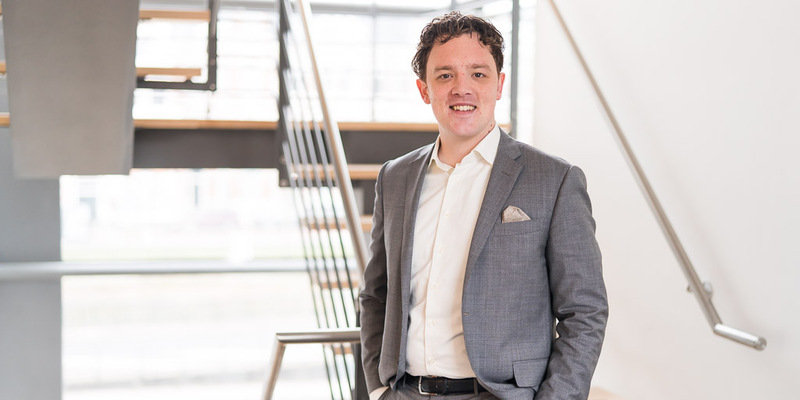 Previous functions: During his studies, Jasper was an employee, mentor and day-to-day manager at Stichting Fiscale Rechtshulp De Smeetskring, a legal advice centre in Tilburg. He first applied theory in practice there. 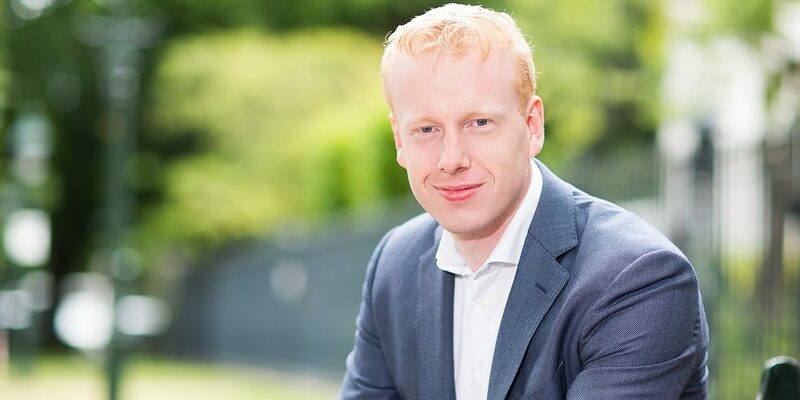 He also spent eight months working for the Large Enterprises Department of the Dutch Tax Administration, where he gained experience on corporation tax. 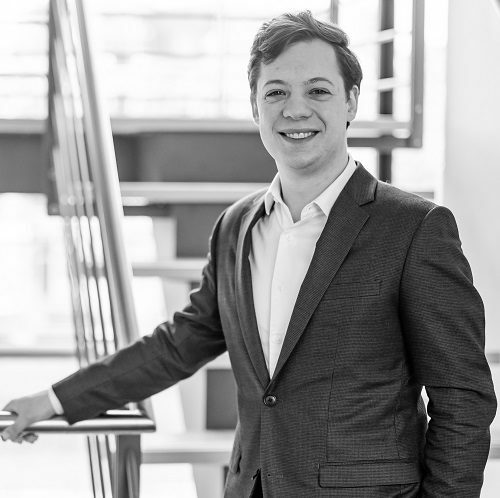 During the final part of his studies, Jasper worked as a volunteer for Stichting ROEST Festival where he advised on tax matters. Thom van Driel works as a consultant for Pereira. He is an all-rounder who advises on the full spectrum of both national and international tax law. Educational background: fiscal economics, Erasmus University Rotterdam, with as thesis a study on state aid by the Dutch regime for fiscal investment institutions. Previous functions: Thom was a working student for Baker Tilly Berk and EY’s ITS department; both jobs were in Rotterdam. He also worked for Stichting Belastingwinkel Rotterdam, an organisation that provides tax advice for low-income residents. 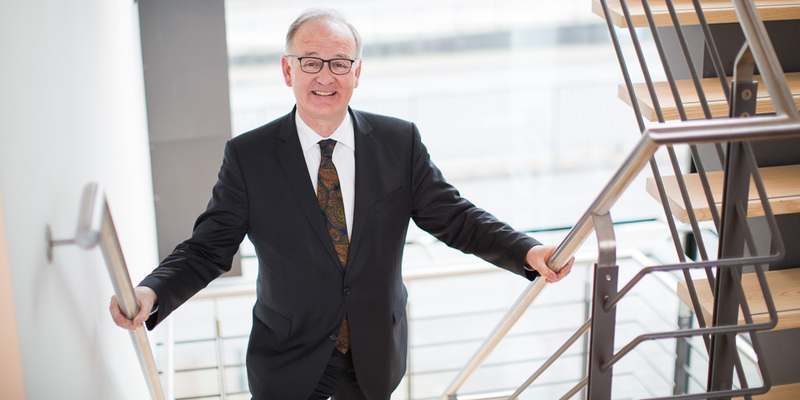 He served one year as a board member and two years as a member of the Advisory and Supervisory Board. 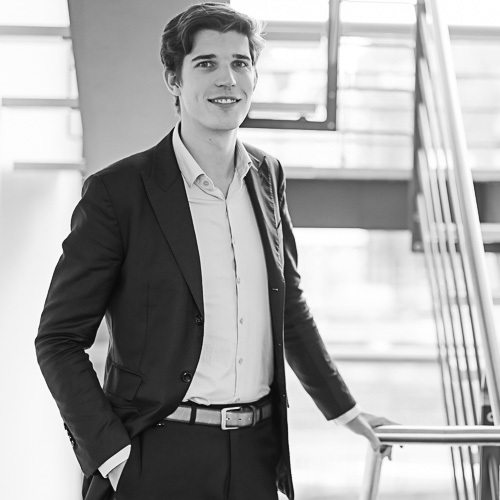 Milot van Doesburg works as a junior consultant for Pereira. She advises on the full spectrum of tax law. 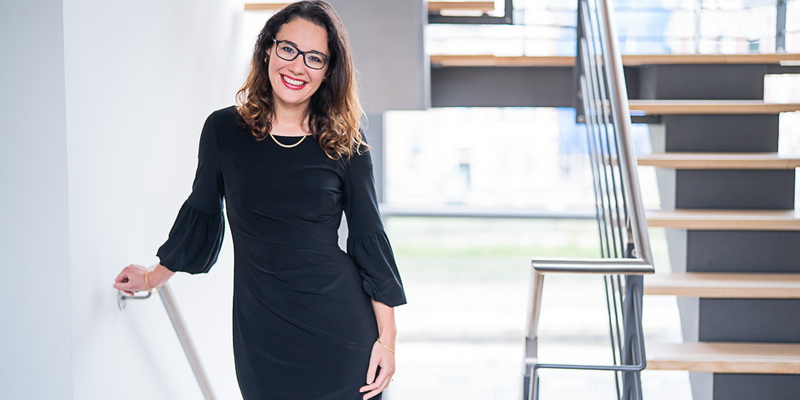 Previous functions: during her studies, Milot did a traineeship at law firm, Vink Fiscale Advocatuur and was a working student at EY. 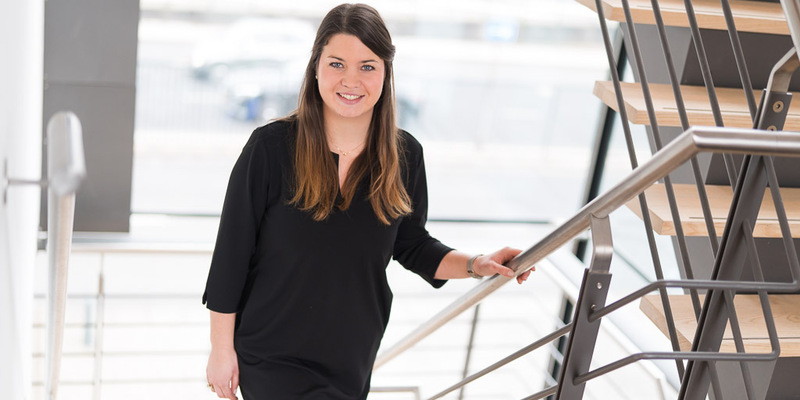 Milou Hintzen works as a junior tax consultant for Pereira. She advises on a wide range of tax matters in almost all areas of tax law. 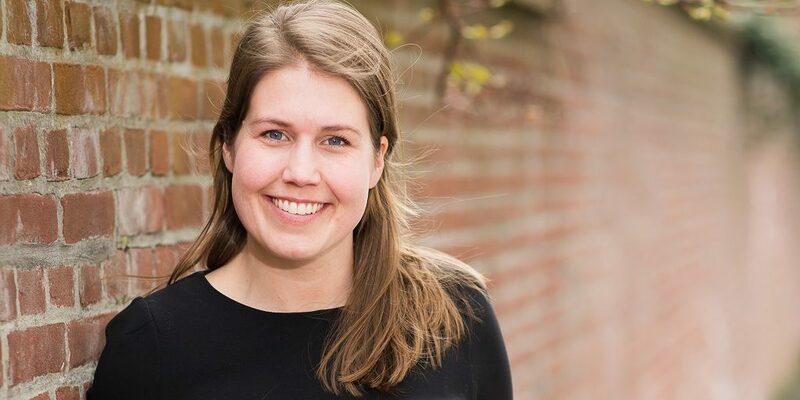 Educational background: bachelor in Dutch law, master’s in tax and criminal law, Maastricht University.Previous functions: Milou did her internship at Hertoghs Advocaten-Belastingdeskundigen in Breda and was seated on various committees of First, a tax study association in Maastricht. 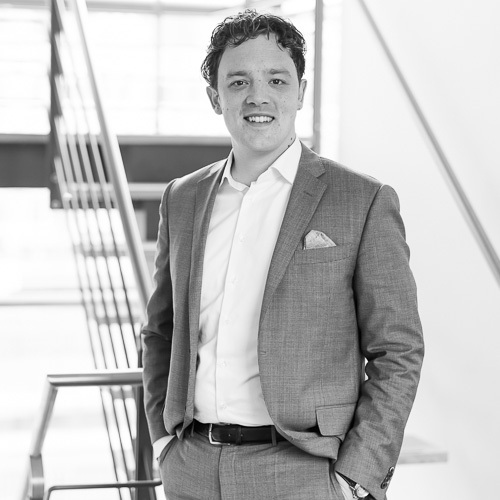 Lars van der Hoorn works as a junior consultant for Pereira. He is an all-rounder who advises on the full spectrum of both national and international tax law. Educational background: bachelor’s degree in fiscal economics, bachelor’s degrees in economics and business administration (major in accounting and finance), master’s in accounting and auditing (partly completed), master’s in fiscal economics, Erasmus University Rotterdam; graduated with a thesis on the 30% facility among others with a focus on conducted audits, state aid and selective overcompensation. Lars is currently taking the three-year vocational training with the Dutch Association of Tax Advisors. 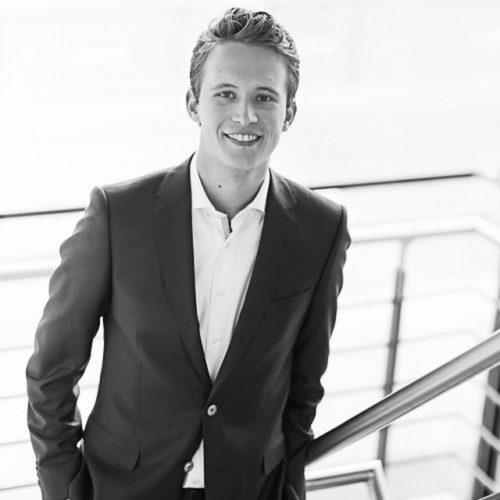 Previous functions: during his studies, Lars was a working student at EY. He worked in the Tax Accounting & Risk Advisory Services (TARAS) department of the Rotterdam office. 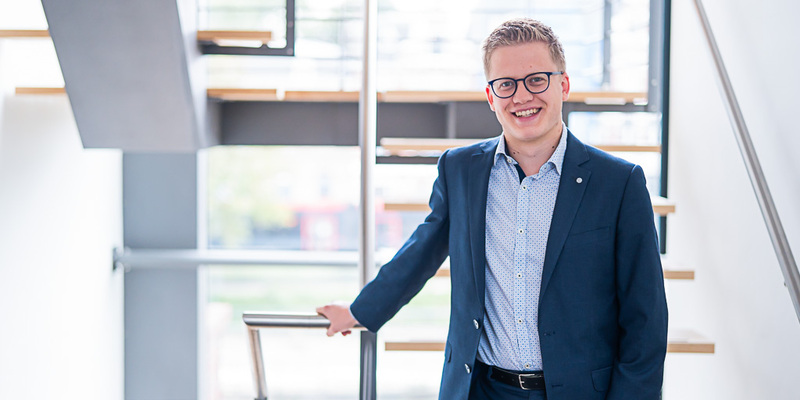 Lars worked as a teaching assistant in the second year of the bachelor’s in fiscal economics. He was also a working student at Grant Thornton’s national practice in Leiden. He worked as an intern for the Corporate Tax Large Companies division of the Dutch Tax and Customs Administration in the Hague. During a two-year period, Lars also served as a volunteer for Stichting Belastingwinkel Rotterdam where he helped persons of limited means to fill in their income tax returns. 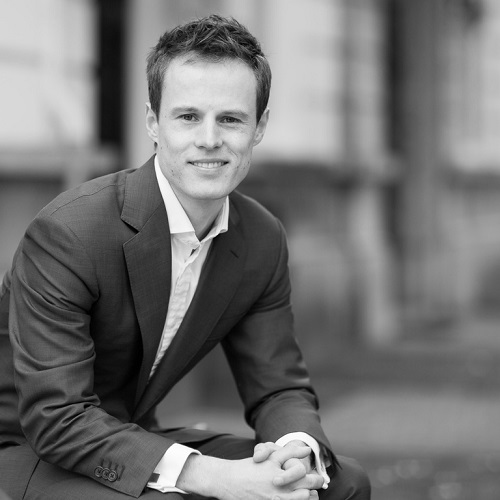 Niels de Grave is a junior tax consultant at Pereira. He is an all-rounder who advises on the full spectrum of national and international tax law. 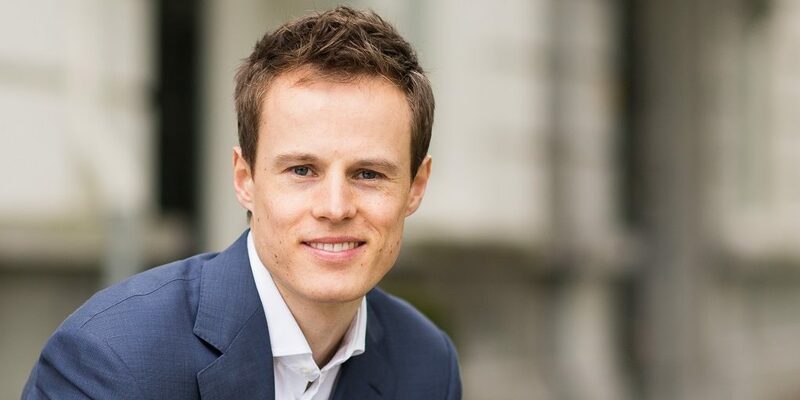 Educational background: tax law, Leiden University, graduated with a thesis on block chain as a possible solution to combat carousel fraud and reduce the administrative burden; semester at the School of Law, University of Connecticut, US; Summer Course International Taxation, Universidade do Minho, Portugal.Previous functions: during his student days, Niels worked as a receptionist at Schouwenhove, a service flat for the elderly in Leiden. He also worked as an exam supervisor during exams at The Hague University of Applied Sciences. 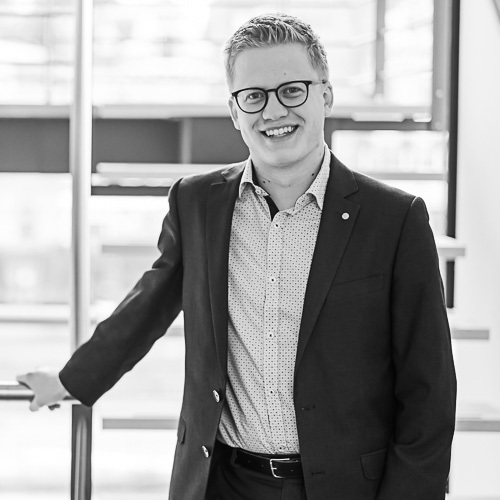 Thom Gijbels works as a junior tax consultant for Pereira. 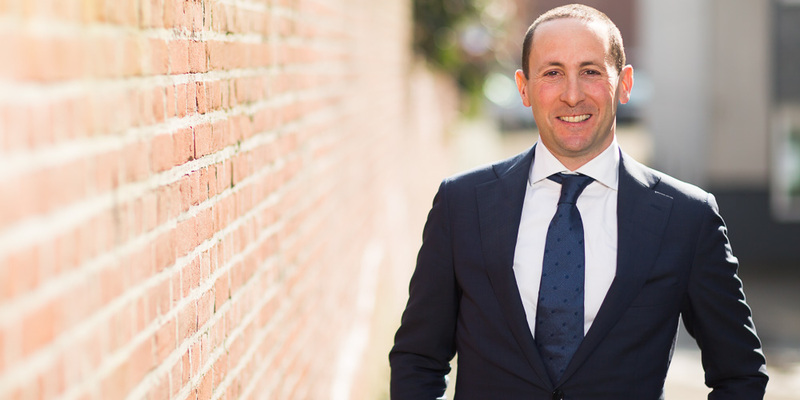 He works on a broad range of tax-related questions in every area of tax law. My knowledge does enable me to tackle questions in-depth, but it also requires creativity to reach an informed opinion. The work isn’t always easy, but that’s what makes it so enjoyable and challenging. Tax laws are subject to constant changes. Laws that currently apply, may no long be effective next year. This means I must keep my professional knowledge up to date. Pereira invests in the quality of its employees and allows us to take different courses. I also enjoy the welcoming atmosphere in the office. Everyone’s door is almost always open. You can always pop in for a chat or to discuss work. Previous functions: Thom was an intern and working student at Koenen en Co in Maastricht. 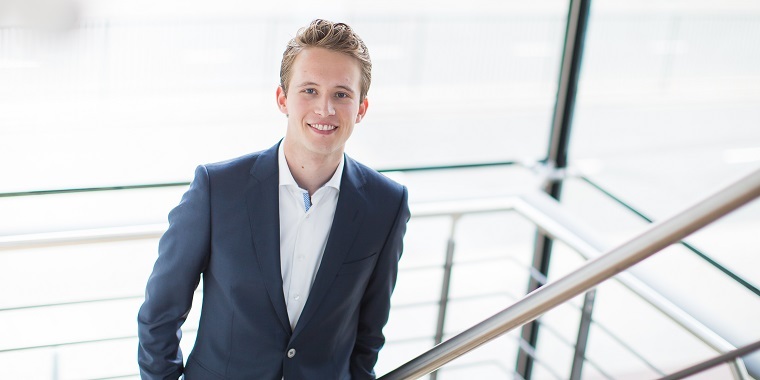 During his studies, he also worked for EY’s Business Tax Advisory in Eindhoven. André van Arkel works as a tax advisor and tax returns officer for Pereira. He mainly works on income tax and corporation tax returns but also advises directors and major shareholders on tax matters. Previous functions: André spent one year at a small accountancy firm. 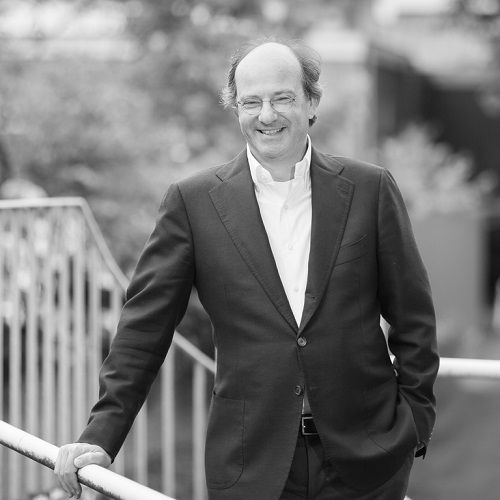 Between 1999 and 2015, he worked for Loyens & Loeff’s tax practice group in Rotterdam. 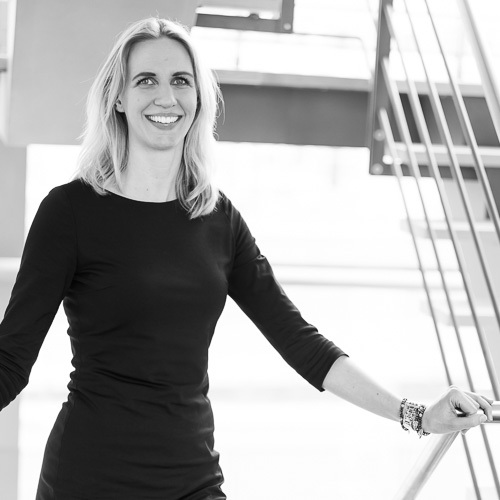 Linde van der Wal works in Pereira’s tax returns division. She prepares the corporate tax returns of national and international companies, and files income tax returns for private individuals. She also provides advice on tax matters. Linde was actively involved in setting up Pereira’s tax returns division in 2006. Educational background: tax law, University of Groningen; professional education, Dutch Association of Tax Advisors. 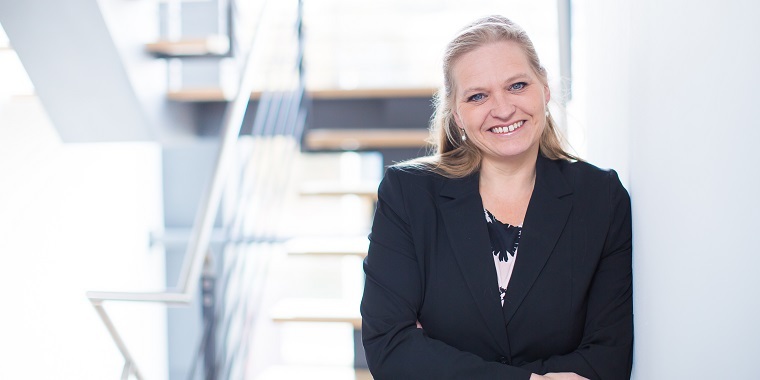 Previous functions: Linde began her career in the corporate tax division at PricewaterhouseCoopers. She started working for Pereira as an implementation advisor. In this role, she was mainly involved in advising and implementing restructurings, and setting up national and international structures. 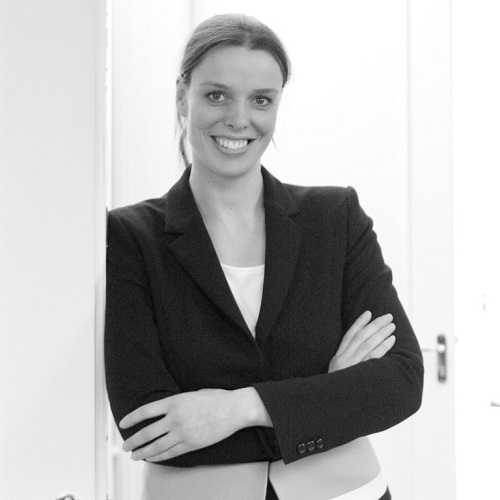 Eva Oerlemans is a junior civil-law notary in the field of corporate law. She mainly advises clients on restructuring, mergers and acquisitions. Educational background: bachelor’s degree in law, Leiden University; bachelor and master’s degree in notarial law, Leiden University; professional education for the notarial profession. 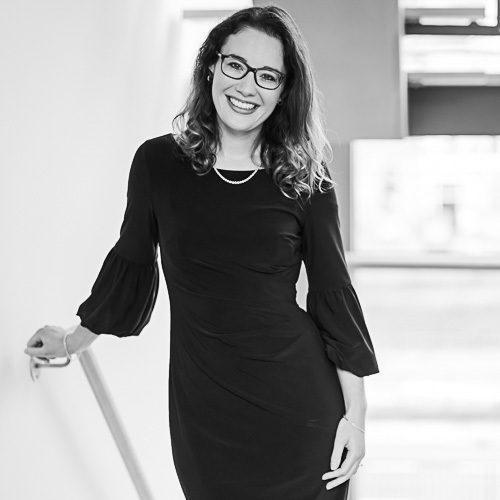 Previous functions: Before working for Pereira, Eva spent four years working as a junior civil-law notary for De Brauw Blackstone Westbroek, a law firm in Amsterdam. 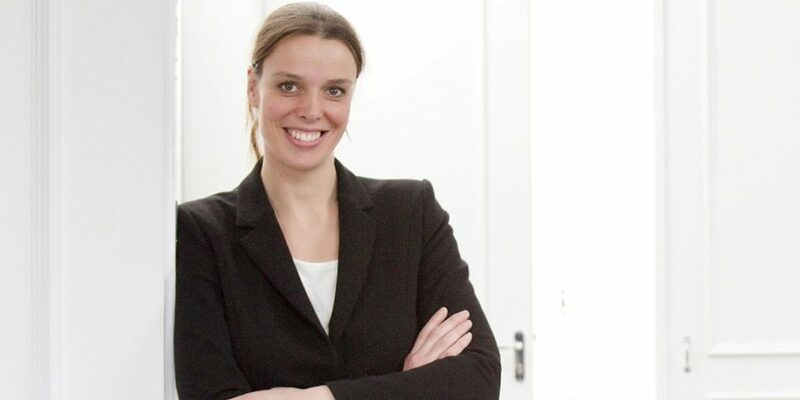 Charlotte van der Molen is a personal assistant of Frans Stam. 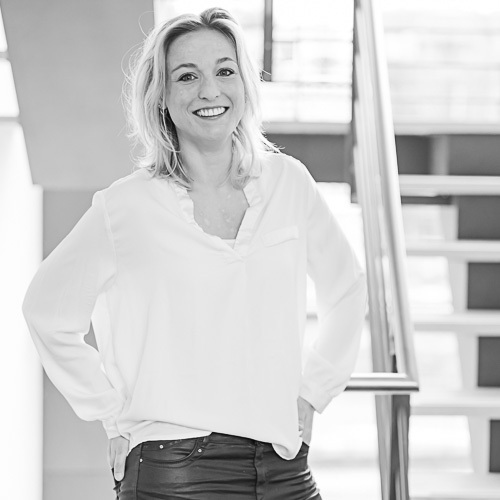 Previous functions: Charlotte worked as an account manager for Kronenburg Promotie & Begeleiding in The Hague and as an office manager for Clinic 28, which is also located in The Hague. Anoek Braun is the personal assistant of Sander Hekscher. Educational background: communication studies (higher professional education), European Studies in The Hague, of which one semester at the University of Technology in Sydney, Australia. Previous functions: After her studies, Anoek worked as a customer service representative at Regus, a multinational in the leasing of office space. Next, she worked in the Sales Support division for a US telecoms company, MCI WorldCom. Her duties included assisting the account managers. Later on, she also became an account manager. Before making the switch to Pereira, Anoek spent several years working for an events agency in The Hague. Theresa Medendorp works as a personal assistant of Robert Hoppenreijs. 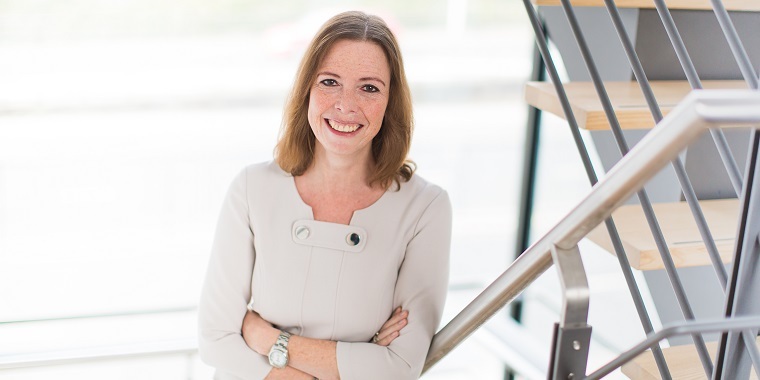 Previous functions: Theresa worked as a team leader front office at the Grand Hotel Huis ter Duin in Noordwijk and as a legal secretary for Van Traa Advocaten in Rotterdam, a medium-sized law firm that specialises in international commercial, transport and insurance law. Carola Mik is the personal assistant of Tswi Rodrigues Pereira. She manages Tswi’s national and international diary, and mail. She takes action where necessary and arranges his business trips. 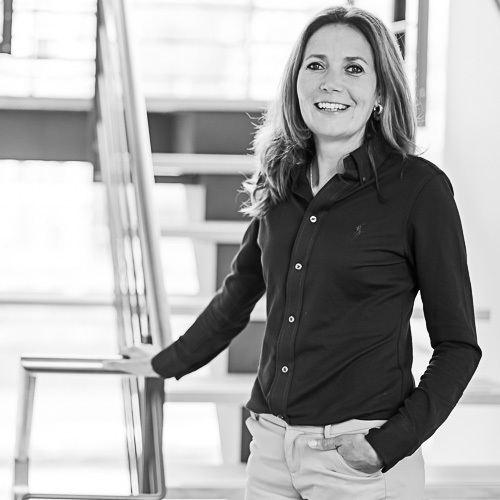 Previous functions: Carola previously worked as a personal assistant at a Japanese pharmaceutical company in Leiden. Prior to that, she spent 14 years living abroad. She has subsequently worked as a receptionist in Chicago, set up bicycle tours in Madrid and given Spanish lessons to children in London. Marjolijn van den Berg works as a personal assistant for Pereira. 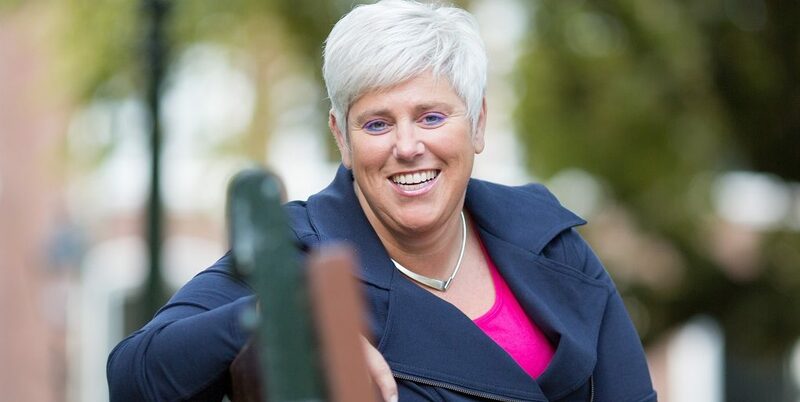 Previous functions: Before working for Pereira, Marjolijn had various other management support jobs, among others for a technology firm and a financial service provider. 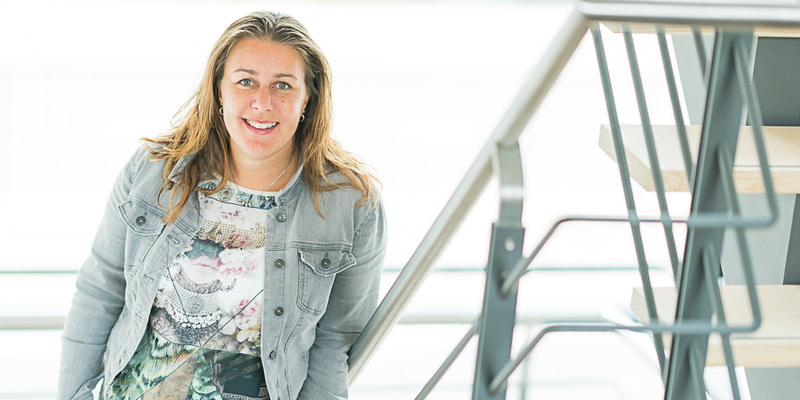 Willeke van der Wiel is the personal assistant of Freek Noordman at Pereira. 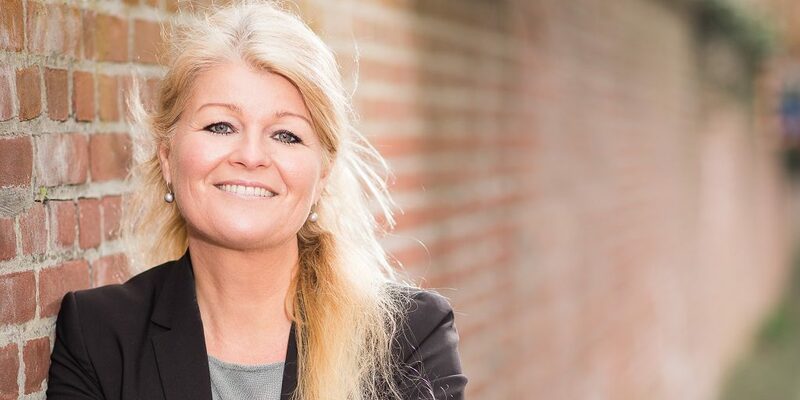 Previous functions: Willeke spent seven years working as the personal assistant of an executive director at Grand Hotel Huis ter Duin in Noordwijk, and three years as a secretary for Stichting VALK in Leiden. She previously worked as an au pair in San Francisco and Scottsdale (Arizona), in a family of four children. Cilia Strengers works as an office manager and hostess for Pereira. 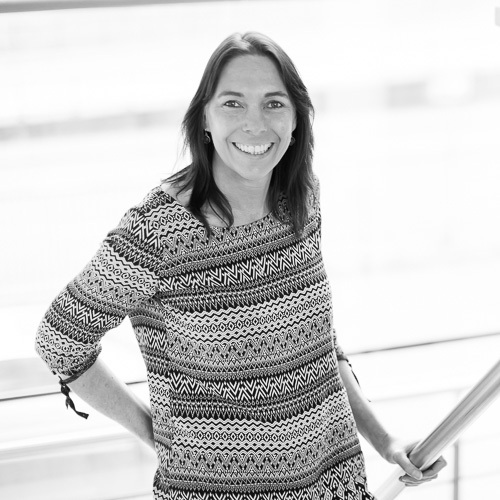 She welcomes clients and is responsible for the company’s facilities management. Previous functions: Cilia used to work as a hostess and general and technical assistant for Florence, a healthcare organisation. Monique Satter works as a secretary in Pereira’s tax returns division. 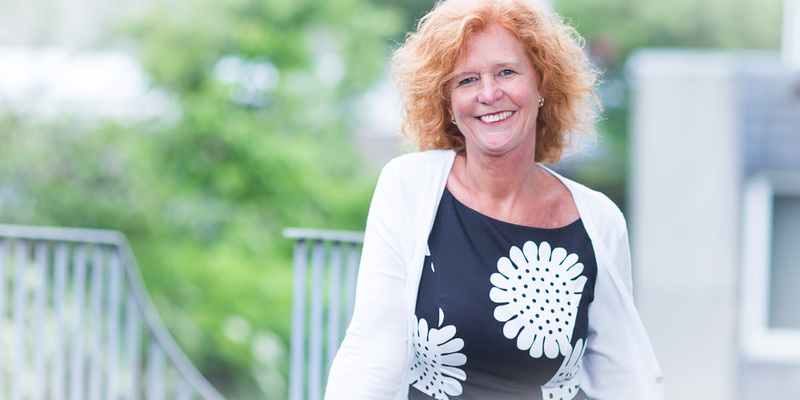 Previous functions: Monique has worked as a secretary for different firms of civil-law notaries in The Hague since 1989. 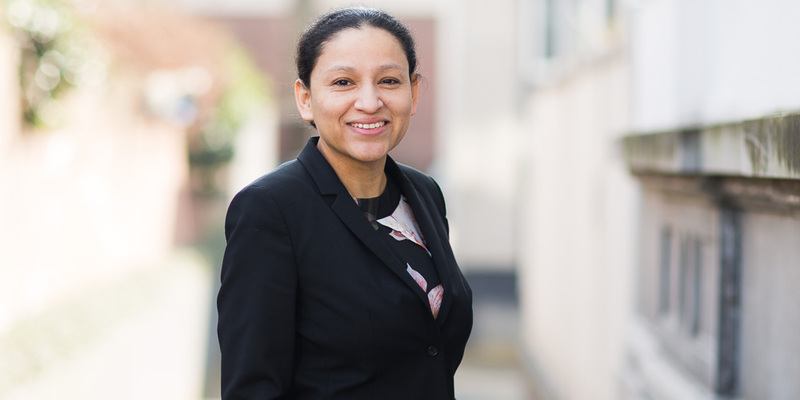 Before working for Pereira, she spent seven years working as secretary in the Property division of Caminada Notaries in Rijswijk. 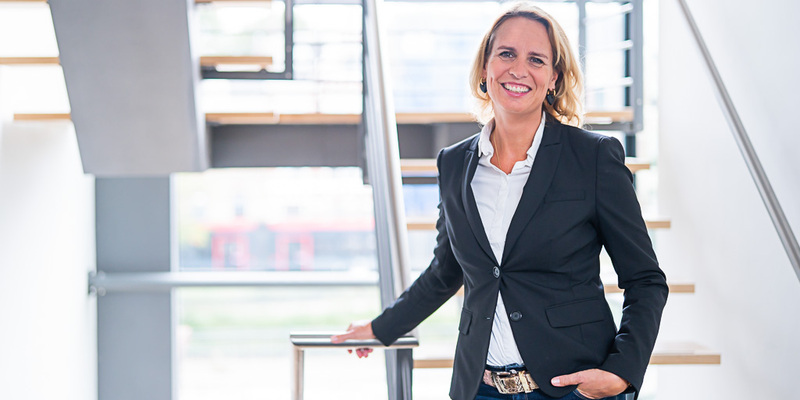 Mariëlle Wildeboer works as Pereira’s HR manager. She is responsible for supporting, advising on and facilitating the HR process. She formulates strategic HR goals for achieving the organisation’s objectives, and supports the partners and team managers with all HR-related affairs. 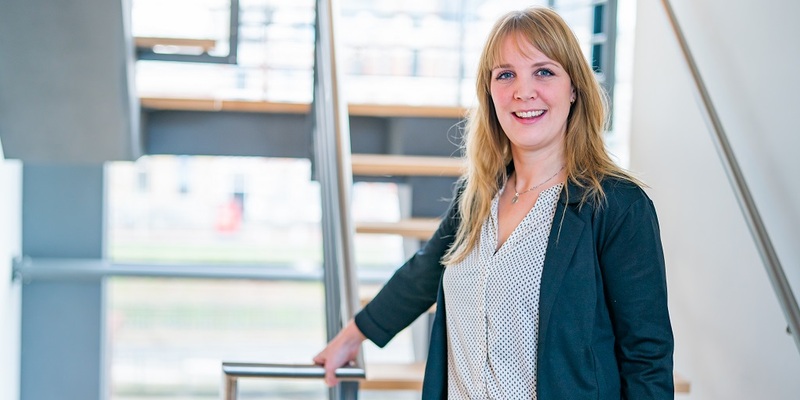 Educational background: personnel policy and human resources at the Dutch Institute for Social and Business Studies (ISBW); various internal courses, including advisory skills, negotiation skills and employment law. 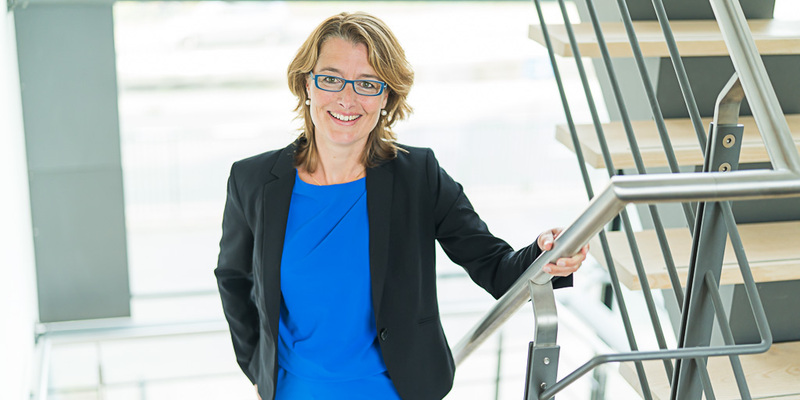 Previous functions: Mariëlle spent 12 years working as a Training & Development manager, and HR manager for KLM. 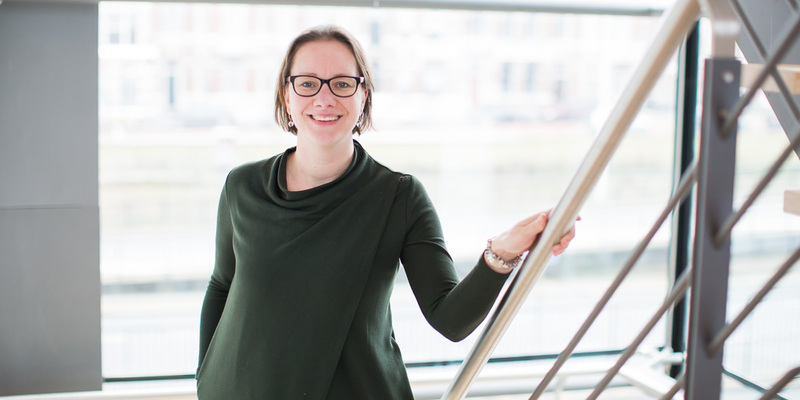 Next, she worked as the head of HR for Curium-LUMC. After a brief stint as an HR manager in the legal profession, in 2011 she started her own HR consultancy. Floor de Jongh is an HR officer at Pereira. She supports and advises the HR manager with the recruitment, promotion and outflow of personnel, and is responsible for administrative matters like training, evaluations, salaries and pensions. 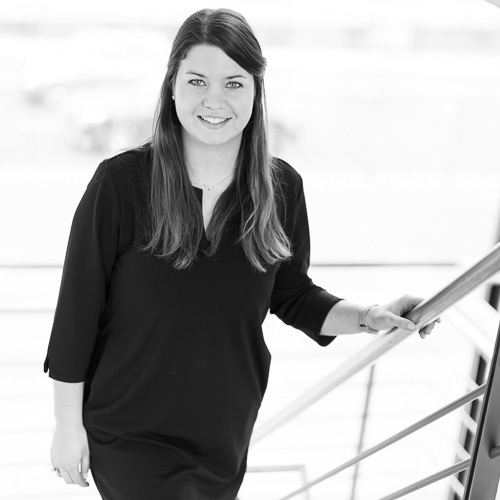 She is also available to answer any questions relating to HR matters from both her colleagues and external parties. Previous functions: during secondary school, over a period of several years, Floor worked for a production company during the school holidays. After graduating, the company gave her the opportunity to gain work experience as an HR employee. 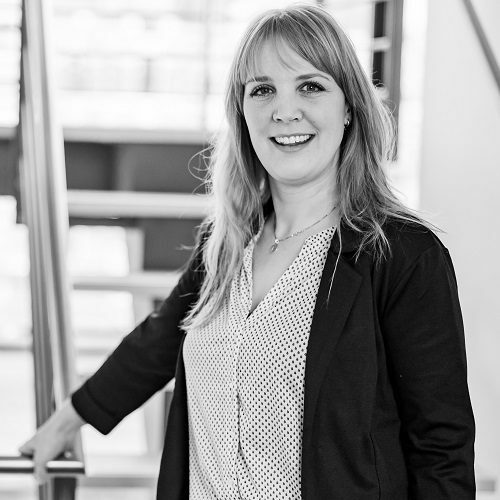 She gained further HR experience in the retail sector and the construction sector, where she worked for BAM Infratechniek. 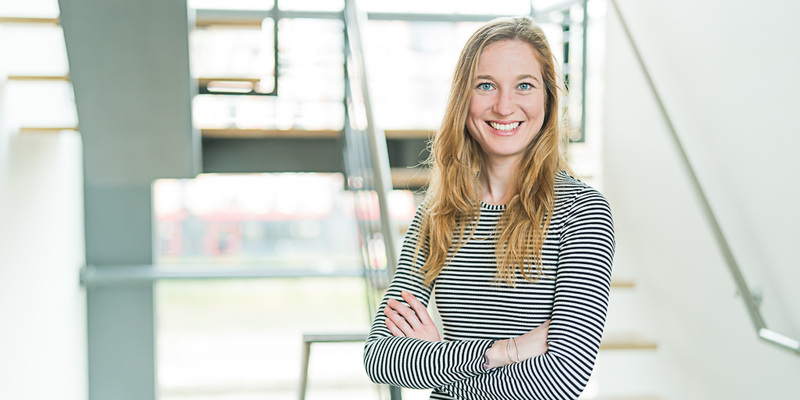 Mirjam van Weerden is a marketing and communications manager at Pereira. She is responsible for both the internal and external communication. 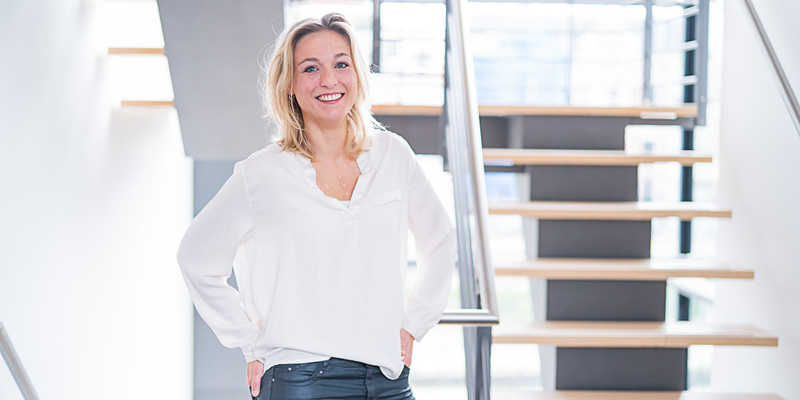 Previous functions: After finishing her communication studies, Mirjam began her career at Warner Bros in Amsterdam. She gained a lot of experience in marketing, PR and organising events in the film distributor’s marketing department. After eight years she left the entertainment industry and started working for Porter Novelli, an international PR agency. 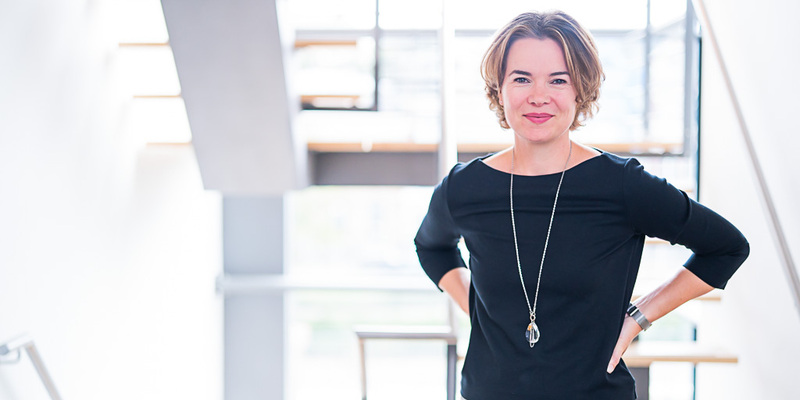 Before working for Pereira, she spent four years working as an account manager for communications agency, vdbj/McCann. 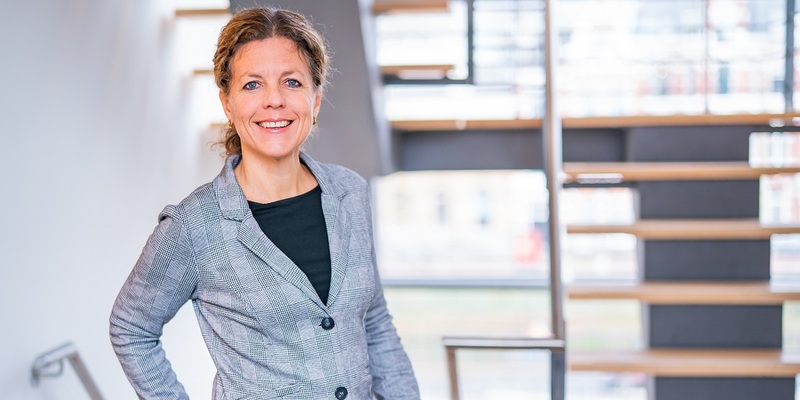 Anne-Corinne van Geest works a controller for Pereira. Educational background: accounting (intermediate vocational education); practical training in accountancy; modern business administration; business economics (higher vocational education); post-graduate controller. 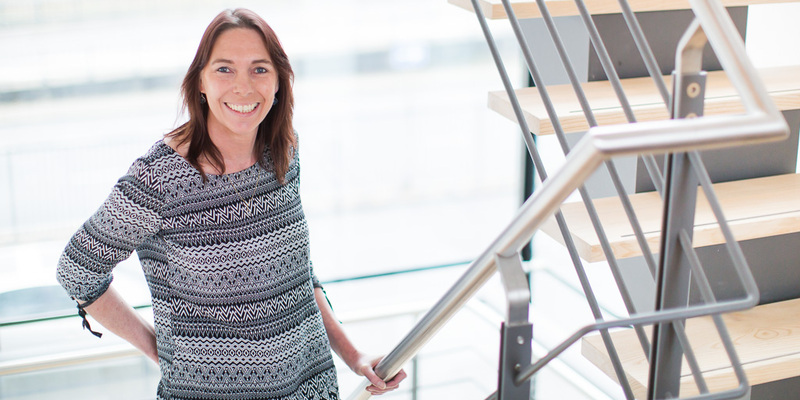 Previous functions: Before becoming a controller for Pereira, Anne-Corinne spent ten years working as an assistant accountant for an accountancy firm. 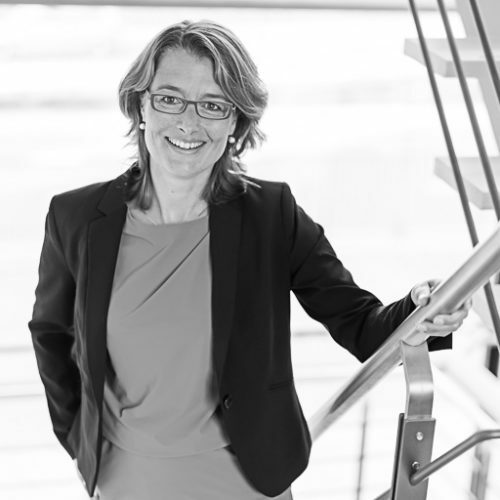 Sandra Charlier is a financial controller for Pereira. She is responsible for the billable hours, invoicing and the accounts receivable. 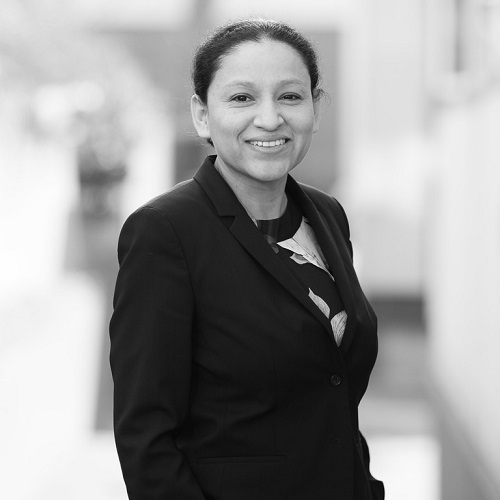 Previous functions: Before working for Pereira, Sandra worked as a secretary at Ernst & Young for  years. She then worked part-time as a financial officer in Ernst & Young’s international division. Basil Barsoumian works as a host for Pereira. He prepares the lunches and provides general services at the office. 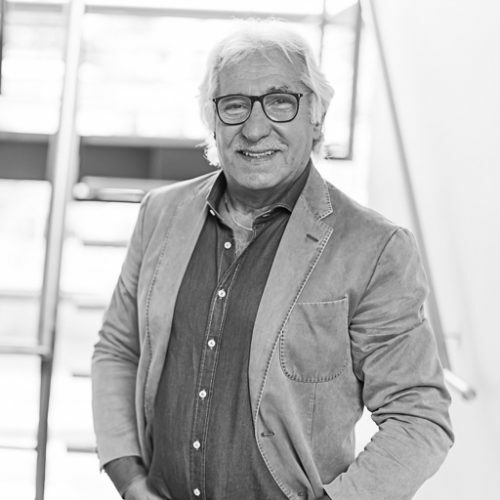 Previous functions: Basil spent 32 years working as a front desk manager at the Bel Air Hotel in The Hague. He was also the owner of Hotel La Ville in The Hague.